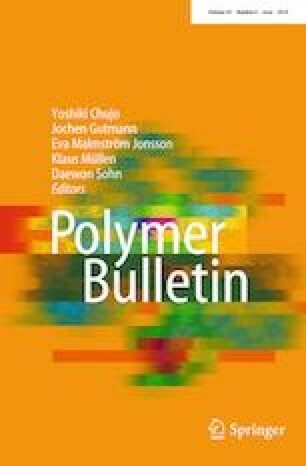 In this study, the composite formations of polyaniline (PANI)/multi-walled carbon nanotube (MWCNT), poly(3,4-ethylenedioxythiophene) (PEDOT)/MWCNT, and poly(aniline-co-3,4-ethylenedioxythiophene) (P(ANI-co-EDOT))/MWCNT were synthesized on glassy carbon electrode by cyclic voltammetry (CV) method. The composite films were characterized by CV, Fourier transform infrared–attenuated reflection spectroscopy, Raman spectroscopy, scanning electron microscopy–energy-dispersive X-ray analysis, thermogravimetric analysis–differential thermal analysis, Brunauer–Emmett–Teller surface analysis, transmission electron microscopy and electrochemical impedance spectroscopy (EIS). The modified electrodes were characterized by CV, galvanostatic charge/discharge and EIS analysis to measure the capacitance, energy and power density values. The highest specific capacitance was obtained as Csp = 590.71 F/g for PANI/MWCNT at a scan rate of 50 mV/s by CV method. The PANI/MWCNT composites are promising electrode materials for high-performance electrical energy storage devices compared to PEDOT/MWCNT or P(ANI-co-EDOT)/MWCNT. The stability tests were also taken for nanocomposite films. PEDOT/MWCNT composites present excellent long cycle life with 97.44% specific capacitance retained after 500 cycles. The financial support from Namik Kemal University, Tekirdag, Turkey, project number: NKUBAP.01.YL.15.003, is gratefully acknowledged.